To hide or store away in a secret place. To closet. 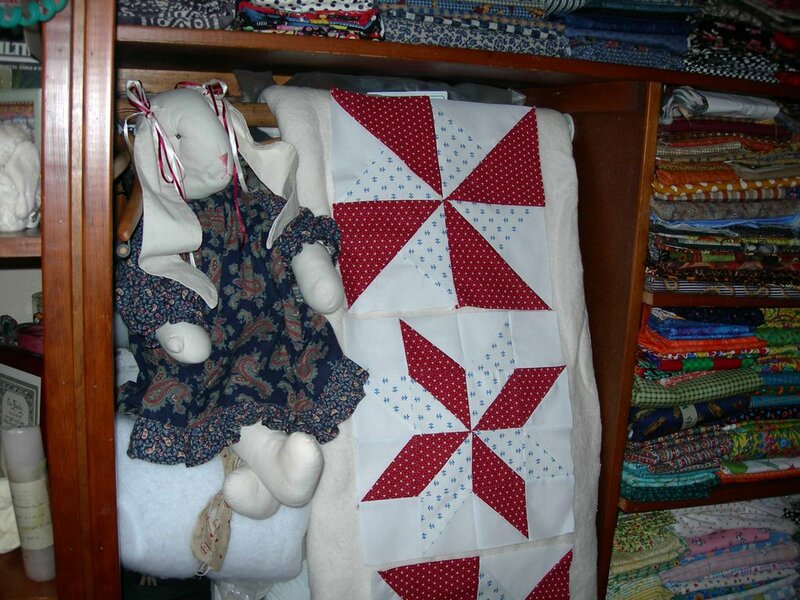 I must confess, I am a closet quilter. I guess that means I am always stashed. My sewing room originated as a storage closet, was transformed into a make shift nursery when I was 'gifted' with a third child, re-created into a teenager's hide-away when the 'gift' began to toddle too close to stair railings and a room switch was required and then, finally!, became my sewing abode in my much deserved middle years. It is my haven and it is also, the container for holding my secret, closeted addictions. It is my stash. I honestly spend more time arranging its contents than I do actually sewing. 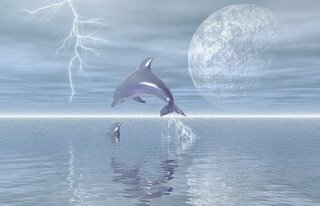 It is simply a matter of survival. Either I am able to find the fabric of choice in a relatively organized fashion.....or my relatives are unable to find me! I have been told by a dear friend that it is the smallest sewing room she has ever seen. This is a friend who has been permitted to take over her entire house for sewing! I feel lucky and blessed to even have a real room, otherwise I might be sewing under the stairs instead of above them! (insert little mice singing "Cinderella'here...) Once in a while, I make amazing, even scientific discoveries while sifting through the piles and scraps, bins and baskets. I have,for example, discovered the origin of that mythological archetype....the stash bunny. She hoards scraps, often shredding them into the tiniest little strips and bits and pieces and when she is done, she takes the threads and fabric fuzz and deposits them neatly under our beds! I would be willing to bet, that she is even responsible for UFOs of ALL kinds! I made this amazing discovery while hanging a make-shift batting to audition my Veteran's Day sampler blocks for our Community Quilting group. Lo and behold! There she was, hanging there, ears abob...all the time! I knew she had been there for years and years. I caught her in a stash basket once. I found her hiding under my sewing table a number of times. But to find her,in broad daylight surveying her domain was the answer to all of my unanswered questions. I caught her white handed and speechless. Now...if I could just catch all of the babies, too! Hello! I happened by your blog. WOW are you talented! 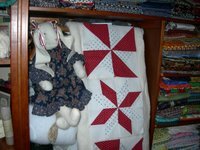 I have made a few quilts in my lifetime. The most recent a breast cancer one for a friend of mine, but I am no where near your league! I love all of them!! Nice work!! I forgot all about that bunny! I made one of those years ago for a niece. I wonder if the pattern is in the 'pattern stash' hehe. Thanks for the comments. Actually, I am more of a charity quilter than an experienced quality one, but I do love it, all! What era did these bunnies come from anyway...the late 80's, early 90's? I have three of them...proof that they do propagate. I found a whole pile of tiny stash scraps under my sewing table, yesterday....so someone has been busy!